ALKA VIDA is a division of GQWEST Inc.. For two decades, it has been at the forefront of the water treatment industry. With its commitment to Quality and Service, it has shared the dreams of hundreds of Filipinos, the dream of having their own business. ​Staying true to its commitment of giving the best value for every type of entrepreneur, the company’s business packages are designed to fit any budget while at the same time targeting all segments of the market. All of this while providing full support and training to prepare investors for every aspect of their business. ​We also offer bottled water equipment, production lines, and other equipment through reputable international suppliers. We also offer water treatment facilities for various industrial applications including pre sale consultation and plant design. © COPYRIGHT 2016. 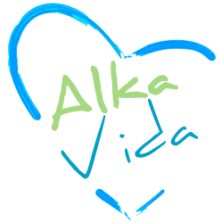 ALKA VIDA. ALL RIGHTS RESERVED.